Watch as the snow falls down and down, set on a black background, the effect is breath taking; you have to see it to believe it. Equally awesome when used as center or background video loop, perhaps it's the footage your video collection was lacking. 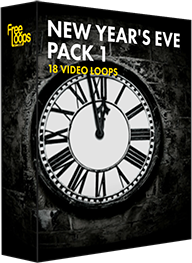 This video loop is part of New Year's Eve Pack 1.